“Hosting the Australian premiere of The Furies is a coup in its own right but doing so in a setting that will have the audience sitting even closer to the edge of their seats is something else. Produced by Lisa Shaunessy (Killing Ground) and starring Airlie Dodds (Killing Ground, Neighbours, Ready For This and Rake), The Furies follows seven young women who are abducted and forced to take part in a deadly game. “Just like The Furies, the event itself will be full of surprises,” Ms Fisher said. 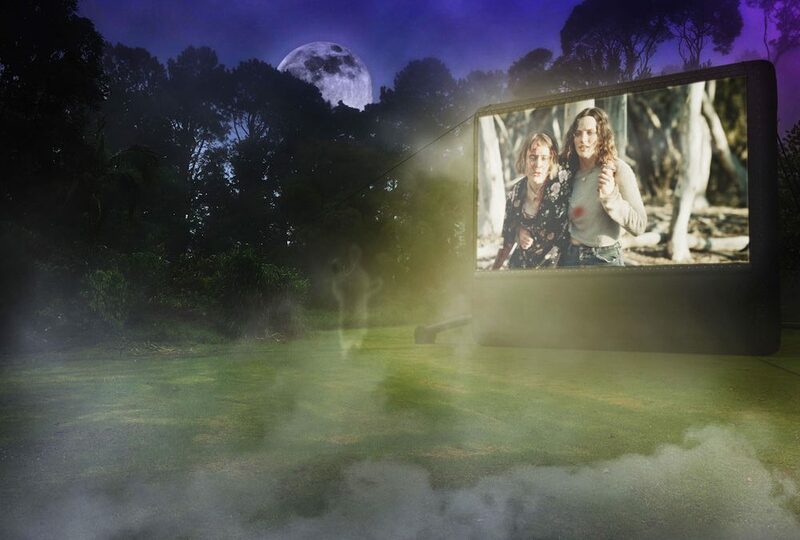 Councillor Glenn Tozer says he is thrilled to support ‘Horror in the Hinterland’ as a tourism initiative and believes the scenic yet isolated location of Springbrook sets the scary scene perfectly for a fright night under the stars. The Gold Coast Film Festival is supported by the Queensland Government through Tourism and Events Queensland and features on the It’s Live! In Queensland events calendar, worth $800m to the state’s economy in 2019. Guests are invited to bring a rug or foldable chair, with some beanbags available, while food and drink will be available to purchase. There will be free on-site parking, return bus transfers from Nerang Train Station for $15 and Springbrook also has many accommodation options from budget to hinterland luxe. Horror in the Hinterland is one of more than 100 films, panels, parties and events that will be held during the Gold Coast Film Festival from April 3-14. Another festival newcomer is the Ladyparts Live Commentary Screening of cult slasher film Scream, which will be held at HOTA on Tuesday 9 April. Hosted by the Lady Parts podcast team of Aimée Lindorff and Sophie Overett and featuring special guests including pop culture commentator and author Maria Lewis, the event will be a lively discussion about how the 90s classic has left its mark on teen film, horror and pop culture. Women in Film Lunch (Fri 5 April) – Proudly brought to you by Screen Queensland and on the back of back-to-back sell-outs, the hugely popular event returns in 2019 with ABC Gold Coast’s Nicole Dyer hosting an intimate and insightful ‘In Conversation’ with a leading woman in the film and screen industry about her stories, perspectives and experiences.